FunBrella Gives You Virtual Rain Anytime Anywhere ! This is a new funny experience ever you have, because this FunBrella is able to turn any umbrella in a Virtual Rain Maker and you can have the feel like carrying an umbrella under the rain or heavy rain. Moreover, you can feel both water dropping on your umbrella and even hear it anytime anywhere. 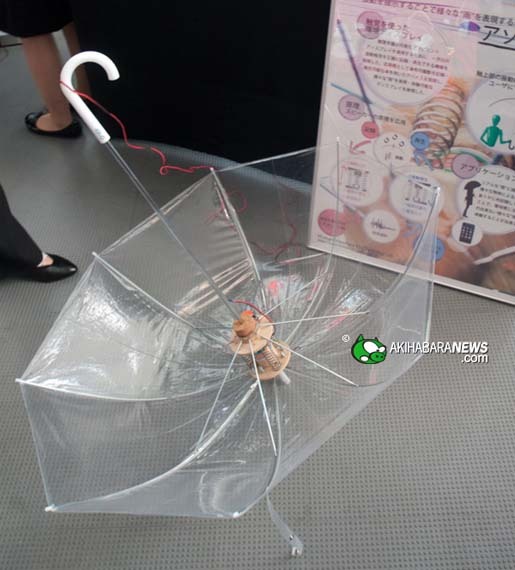 The Osaka University developed even further, as this umbrella is able to transmit to another FunBrella, consider your beloved one is away from you and you want to share a big hail falling sound on your umbrella with her, all just she needs to do is, open her FunBrella then she can hear the hail falling sound on your head.